IN THIS EPISODE: This week we talk about the Mailers Technical Advisory Committee (MTAC), what was discussed during the meetings and what was not discussed, we'll talk about Pricing, Promotions, and Opportunities for Address Quality. Links to the resources mentioned in the podcast. Chris: Hi Everyone, I'm Chris Lien. Anita: And I'm Anita Pursley. 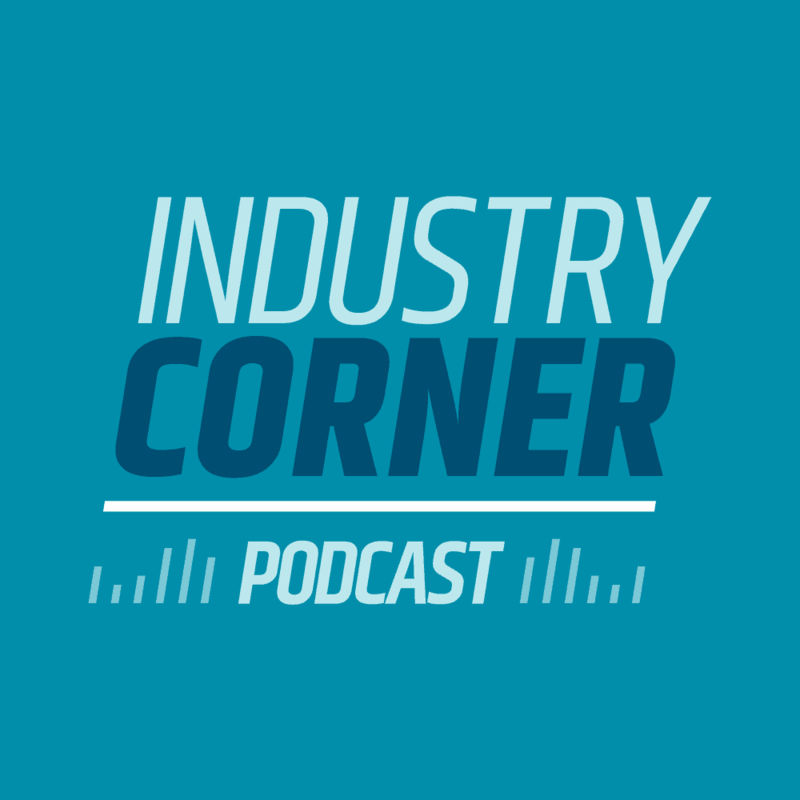 Welcome to Industry Corner, a podcast where we share postal industry news to help you stay informed. Chris: On today's podcast, we'll be discussing the Mailer's Technical Advisory Committee, what was discussed during the meetings and what was not discussed. We'll talk about pricing, we'll talk about promotions and we'll talk about opportunities for address quality. So let's get into it. Chris: Well, welcome to the podcast everyone. Hi Anita. Anita: Hi Chris. How are you today? Chris: I am doing great. Thank you. What a busy week we had last week at the Mailer's Technical Advisory Committee. Anita: Right. We're back from the pink palace. Chris: That's exactly right. MTAC again, serves to provide advice to the Postmaster General. It comprises over 50 industry associations with representation over 150 people there and as always the case, a lot of good conversations. Uh, Anita, what were some of the things that we talked about and maybe some of the things we didn't discuss? Anita: You know, we always have expectations before we go to Washington DC for MTAC Week and, and I think everybody was really anxious to hear about the Postal Service's plans for a price increase. Chris: Yeah, no, exactly. It's October and generally we have at least some preliminary idea of what the price adjustments are going to be and more importantly the sortation changes that we can expect to see implemented in January. And so October is kind of that important month for all of us. And I think, I know certainly I expected to hear a lot more about that. Anita: I think the industry is pretty, I won't say complacent, but kind of anticipating the 2.419 percent increase plain vanilla rate change. And so maybe that's why there wasn't more discussion, but Steve Monteith did say that the governors are still approving the process or looking over the new pricing. And so I think it'll, you know, it could be any day now that they do file. Chris: That would be nice. Certainly the, uh, the earlier the better and I noticed that the Postmaster General and I spoke to her at the reception was also a little bit surprised that we didn't talk about pricing, but I think you're correct, we, we have a pretty good understanding how the prices should be based on CPI and certainly as, as the Postal Accountability Enhancement Act Law as it's written today until hopefully Congress makes some changes to that going forward. But, so I think we understand what those prices are. I know one of the big concerns that we have on the software side and our customers do is making sure that the market dominant market competitive rates are at the same time. Any, anything about that, Anita? Anita: Monteith did say that they would likely change at the same time. He was noncommittal, but he was giving us big hints. Let me put it that way. Chris: Sure. Okay. Well the board of governors is the final say on that. How about promotions? That's really important for a lot of our customers too. Anita: That was not even brought up in the focus meetings. I was shocked. But again, I think we've already been told what to expect. A full slate of promotions, very similar to the ones that they proposed in 2017. So I think that's going to happen. Chris: Going to be the same type of thing. Okay. All right. Well let me talk about the thing that, uh, one of the number one items that was discussed and I think all of us were expecting that, and I'm sure the postal service was as well and it's that federal registered notice on marketing mail, and, Anita, you and I talked about this earlier, sort of the elephant in the room and, and uh, and I appreciate that the Postmaster General, Megan Brennan, really addressed it right head on and she, she knew that that was top of mind. So she began apologizing, which I found interesting. Certainly welcomed and I appreciate that and I've always had a lot of respect for the Postmaster General and she's always been very candid and as transparent as she can be. But I thought it was interesting and really appropriate that she apologized. They did follow the process as prescribed by the law. And she noted that, but she did acknowledge that she didn't leverage MTAC as much as she could have and I agree. Anita: It was very upsetting to us because that's our primary role. No one wants to be surprised with the Federal Register. Chris: No we don't. The A in MTAC stands for “advice” and so it'd be nice, you know, going forward. And I think she acknowledged that too. So, unfortunately it does mean that she's not going to rescind the Federal Register notice. I know that that was what some of the industry were looking for. They'll let that ride out til October 22nd. Anita: And she said that a key issue is off the table. Chris: Key issue's off the table. Yeah. Then. And we talked about that at the business meeting. So I think the opportunity here for the industry moving forward is, is sort of what was followed up with on that and it's in forming a task team, right? The Postmaster General said that there were over 3600 – three thousand, six hundred comments coming back. Many of them were in form letters. So for those of you in the industry, you're, you're doing a good job, you're getting your listeners and members to participate. Anita: I think there were 2,600 form letters, but when you think about it, that's 2,600 companies that had an interest in this topic. Chris: And companies she said that they've never heard from before. So I'm really, really glad that the industry responded. I think it's encouraging that we got a lot more with that. So one of the takeaways is there was conversation about forming a task team to look at those, all of those comments, sort of categorize them and then maybe a work group that follows up to, uh, have broader representation again within MTAC to understand the value of marketing mail and recognize that it's such an important part of multichannel marketing going forward. Anita: Exactly. And one last thing – the addition of the 2020 comment in the clarification, I think, I think that really upset the industry because it added more uncertainty. You know, if they're going to make changes, they won't make them til 2020. But she did say that it was not intended to create more uncertainty. Anita: She recognized that marketing mail was 53 percent of their volume and uh, and she said we're bullish on marketing mail so we have to stay optimistic. I think there's a lot of people out there that are not so, but we just have to let the process run out. Chris: I agree. And hopefully this, while MTAC wasn't leveraged upfront as we talked about, hopefully it will be leveraged now after the commentary period closes on October 22nd, and we can start taking a look at this and again, grow the value of mail. And marketing mail is really important as is first class mail, you know, the two together are the basically the majority of what over 90 percent of what the Postal Service is delivering Anita, I found it interesting when David Williams gave his update on, on service performance, he talked a little bit about some interesting things that happened with those two classes of mail. Anita: Right. Service performance was down. Chris: On both of them, which is odd because they'd been really doing well and I noticed periodical mail is steadily improving. That's a very unique type of class of mail, but boy, first class mail, marketing mail, those service performance scores have always been really, really good lately. And something happened. Anita: Yeah, he explained that there was a very large mailing, it must've been really large that had mail prep issues. Chris: For marketing mail, right? Anita: Correct. Correct. That was probably an anomaly. But the most interesting thing was the chemical spills. You and I both started talking about that after. It's just incredible. The PMG said that they're averaging one spill a day. Chris: A chemical spill a day in their, in their facilities. Wow. And, and the impact on first class mail, the one particular spill though in north Texas. Anita: The North Texas P and DC, right. There were three boxes, 25 pounds each of mercury. Anita: Right? So one of them spilled. It caused them to close the facility down for seven days. I mean, the mercury was everywhere – on people's shoes, they got into their cars. It was really a disaster. Chris: That must have been a huge remediation program to be able to clean all that mercury. Anita: But imagine what that did to service in that area. Chris: And that's a major processing, North Texas, right? So there's a lot of first class mail that flows through there and that was enough to, to pull down those service performance scores. But that's interesting. So three packages of 25 pounds of mercury. You know, it's just kind of odd that, that all of a sudden that that hit. But I understand that wasn't the only problem that they had, right? Anita: Right. An antique thermometer was another one. And then, what was the third one that was mentioned? Chris: There was some other kind of a barometric device or something like that, right? I mean, back in the day, of course mercury was used as a, as a measurement tool for barometric pressure, temperatures, things like that – fun with science. Chris: Today we know that mercury is very toxic and harmful to the ecosystem and people and things like that. So the remediation on that is really expensive and difficult, and I noted that the Chief Operating Officer, David Williams, said that there were these multitude of spills all seem to be happening at the same time, right? Anita: These four spills in two and a half weeks, I think is what he said. Chris: Two and a half weeks. You know, he had said they didn't have any problem with mercury and then all of a sudden, you know, they kind of come in threes here. So that's kind of an odd thing. Anita: He did give us a high level of confidence that they're ready for peak season. Anita: You know, they're buying a lot of equipment. So not only peak season, but we've got the elections coming up. So there's going to be a volume spike. The Postal Service has bought a lot of new equipment and he, he touted the new EPPS machine in the Portland, Oregon facility. The Enhanced Package Processing System. Right. I think we're going to have an AIM meeting. Anita: An Areas Inspiring Mail meeting up in Portland. So maybe we'll get to see the facility and the new equipment. So they are ready. They are definitely spending a lot of time focusing on preparation. Chris: Well, this is the peak season and a lot of people are receiving mail right now and will continue to see that going forward. And sort of a related to that, Kelly Sigmon, we talked about her in a prior podcast. Both, you know, Anita, you and I have known her for awhile, so she's got a new role focused on customer experience. Can you share a little bit about what she talked about there? Anita: You know, I thought it was interesting because I think everyone was confused about her role compared to maybe Steve Monteith. They're both VPs, Steve as VP of Marketing and so now Kelly's VP of Customer Experience and so she really delineated that she'll be responsible for the actual consumer. And then Steve would be focusing on the business mailer and the actual mail preparers and so forth. Did I understand that correctly? Chris: That's my understanding too. And you know, it brought up an interesting conversation and we've, we've talked about this at MTAC many, many times: who is the customer of the United States Postal Service, right? From the industry side, you know, particularly in the context of MTAC, we would say that the postage rate payer is the customer. They're the ones that are giving the money to the Postal Service, and since they're not taxpayer funded anymore, you know, as a result of the 1970 law – the Postal Reorganization Act – that the Postal Service is fully funded by postage rate payers. So MTAC members in the industry as far as Mail Service Providers would say, well, I'm your customer, I'm giving you the money, right? But I think it's right for the Postal Service to look at what is the end recipient of the mail piece thinking, doing? How do they leverage mail? How important is it to their life? And we talked about the Household Diary Study – the 2017 results. We talked a little bit about the DMA factbook 2018 on a prior podcast. I, for one am glad to see the Postal Service spending a little bit more time about understanding the mindset of the mail recipient, that CEO of the mailboxes we talk about. The mail moment and all that. So I think it's important, but I am glad that they made a clear delineation. Steve Monteith is going to focus on the postage rate payers and industry engagement, MTAC Mail Service Providers. Kelly Sigmon is going to be looking at the ultimate recipient of the mail. Anita: I think that's a good team. Anita: That was a shock. Chris: Yeah. And, and unfortunately Steve has the chicken pox, which is dangerous for adults. We certainly a best wishes to Steve on quick recovery there. We need you back, Steve. Informed Visibility, Informed Delivery. So much going on with that. Anita: That's an unfortunate coincidence, isn't it? Chris: It is. It is. You know, but again, you know, it's life. And, and uh, and so I know that they've got great teams and they are making some forward progress. One thing that was shared about Informed Delivery is they're now up to 18 million subscribers with 8 million of them using email. To get their, their daily feed. That's what I'm using on mine. And I can see those emails all the time. The Postal Service is looking for ways to be able to leverage that. It's now at a level in terms of subscribers in that Anita, where some in the mailing industry – and we heard this at MTAC – would like to see is there a way for the Postal Service to sort of provision a list. Right? Can I, can I get a list of all the people that are subscribed in a particular area so I can market to them, but unfortunately folks that violates Title 39, Section 412 and yes, Anita, I look at these things all the time and memorize. Anita: You could probably recite it. Chris: Well, just about, because it's really important. So the Postal Service can't rent out lists of names and addresses. Chris: You need that. It's really a challenge. Anita: A strong desire on the part of the industry but the Postal Service is trying to get around it. Anita: He said it himself. Chris: I said it myself…is, is rather than a provide to the industry, a list of names and addresses, which would clearly violate the law I cited, they would instead encrypt the address using alphanumeric encryption methodology – maybe the secure hash algorithm that we use for the NCOALink product, but encrypt the address in a manner that, uh, that on the industry side we would not know the actual address for the individual, but as the Postal Service processes that mail piece, they would decrypt the address and then make sure that it ended up arriving at the correct location. Anita: So how does the carrier know? Anita: And a Boy Scout. Chris: And a Boy Scout, yes. And so I want to get all this – well, Scouter now I'm an adult – so get all of this, get all this, uh, this stuff with that. And, and uh, so it's an interesting idea – a way to be able to leverage Informed Delivery for what I would call it, sort of cross marketing channels with that. But, more about that as we go forward. But again, I'll, I'll applaud the Postal Service on being innovative and they really are innovative on some things. So thank you Postal Service and our postal partners for engaging MTAC on some of these early brainstorming ideas. Address Change Service and addressing, Anita. That's another big topic. Anita: Not as heated as the federal register notice, but Jim Wilson… What is his title? Chris: So Jim is, he's the Manager of Address – well, let's see – Address Management and Geospatial Technology in Memphis. It's a very long title. Anita: Right? So he addressed that topic. They have resumed billing, but they have found some more errors that they're going to investigate further. Apparently they're finding records, IMBs, that aren't correlated to an edoc. But they only have a four month look back and so they're going to set aside those records for now and then, you know, not charge for those addresses. Make sense? Anita: Jim has been very upfront about what's gone on with this process and he's committed to working with the industry to figure this out. Chris: I agree. I think Jim was very transparent and continues to be. The challenge is that it's very technical, right, of what we're dealing with. And uh, even though the ‘T' in MTAC is for ‘technical', at times it can be a lot, uh, to go through and understand that. Anita: So there's a couple of new things going on. Kiosks? Chris: Oh, yeah. Change of address. So two things with that, and we talked about this earlier, Anita, is millennials move differently than others than other generation. Your Gen X or Boomers, and then people are still filing a lot of hard copy change of addresses. Of the 36 million plus change of address as filed in 2017, over 20 million of those were filed with hard copy change of addresses and as we know that, you know, when you, when you fill out the change of address using a piece of paper like that, you know, you may not be using the right address or you've lost that opportunity to maybe query the individual that's filling that out. Did you, did you forget an apartment number or something like that? Yeah, exactly. And so the Postal Service is now implementing these kiosks, they're kinda cool looking. They look sort of like Star Trek, but that's probably because I'm a Trekkie. Chris: Yes, yes, it just gets worse. So they have these change of address kiosks at that they're looking at and that would be at a post office. So you can, when you go in there to change your address, instead of doing it via paper, you could do it through this kiosk. Chris: And you wouldn't have to wait in a long line and there'd be a way to be able to make sure that you don't have garbage in, garbage out and, and so that would be very, very useful. And then the other thing that they talked about was a new webpage called managemymove.usps.com. So, managemymove.usps.com. And after you filed your change of address, whether it be hard copy, electronic, maybe this kiosk, if for some reason something happened, right? I, I, I'm not going to move. I thought I was going to move but I'm not going to move or I'm not going to move when I, when I planned to move, maybe something kind of fell through. Whatever, you know, things happen. This would be a webpage for you to be able to go in and update, edit, or even cancel your change of address. And, and that's great because one of the things that BCC Software is a full-service licensee for the NCOALink data, one of the few companies that have that and, and we received these things called daily deletes. It's a file that we get from the Postal Service to help update or augment the weekly update that we're getting from the Postal Service on all these change of addresses. And so it's really important that we get that daily delete file correct so that our customers, when they are making that change of address that that they're getting the right information. Right. And so I think that's very interesting. Anita: That's innovative. Well, I was just gonna say it's a good thing that there are two of us at MTAC because there's just so much information. If I don't capture it, I'm hoping you do so we can bounce things off each other. Chris: I agree. Yeah. I was exactly what I was going to talk about too Anita, is that it's great to have you here at BCC Software. It's great to be working with you in the industry. We've known each other a long time, but, but going to MTAC together and coordinating that is really essential. So many conversations are going on at the same time, folks. In fact there's four different focus meetings that are occurring simultaneously, a all day on, on Wednesdays. So splitting up the, uh, the meetings with Anita and I, gives our listeners and customers an opportunity to be able to stay informed on all these changes and there's been a lot of changes. So Anita it was a great MTAC. It was great talking to you today and as always, folks, thank you so much for attending the podcast. Any final comments Anita? Anita: Thank you. It was a great podcast. Love talking about postal issues with you. Chris: That's right. That's right. Okay, well folks, if you have any questions, visit bccsoftware.com or give us a call. We'd like to know how can we help? Have a great day. Looking to go beyond traditional compliance? COMPLIANCE+ allows you to update your lists of records with clean data to ensure messages are getting into the right hands. Going beyond traditional compliance found with CASS™ and NCOALink, COMPLIANCE+ combines these effective solutions with powerful industry tools—PCOA and ARS—to get the most accurate data possible.